One of the hardest things about making a mistake when you are younger is that it can follow you around as you become more mature. Fortunately, the justice system in the state of Washington understands that you shouldn’t have to be punished for the rest of your life if you are not a habitual offender. 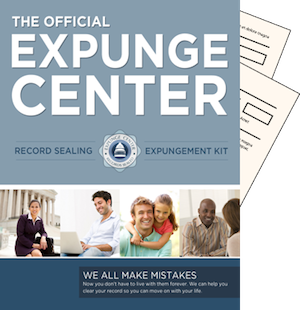 They have a process known as expungement that allows you to expunge record in Washington. Washington expungement eligibility rules are fairly straightforward. There are two types of expungement: for misdemeanors and for felonies. In all cases, if you were charged with a misdemeanor or felony, but not convicted because the case was dropped due to lack of evidence or because they decided not to press charges, you should be able to avail yourself of our expungement kit. Our kit is designed to make filing the motions and forms that you need a very simple process. Without it, you will probably need to work with an attorney and pay quite a bit more for the same service. For all other misdemeanor offenses, as long as you currently qualify and enough time has passed, you can normally apply. To be considered qualified, your case must have been closed and all monies must have been paid if you were ordered to pay restitution. You must also not have a criminal conviction that occurred after the conviction that you are trying to clear. Of course you cannot also currently have a case or charges pending against you and you cannot have had a restraining order filed against you within the previous five years. If you were convicted of a felony, it becomes a little more complicated. Felonies are regarded as being more serious and so the time period that you need to wait is usually a few years longer than that for a misdemeanor. The specific wait time for each type of felony can be different, depending upon what the charges were for. To expunge record Washington, the rule of thumb is that the wait time is five years for a class C felony and 10 years for a Class B felony. In addition to the crimes listed above that cannot be cleared in Washington state, any felony classified as a crime against a person may not be cleared from your record. Another thing that you will need to be aware of is that like above, you may not have any further convictions or crimes pending against you for you to file. Can I get more than one kit? I have more than one conviction to clear. Yes and no. In Washington state, you are only allowed to clear a single crime. Any other convictions that you would like to clear in Washington state, will have to remain on your record. If you have a conviction in another state that you would like to clear, you certainly could purchase more than one kit, one for each state, and apply to have your record cleared in that state as well as long as you are eligible for expungement in any other state based on those laws.